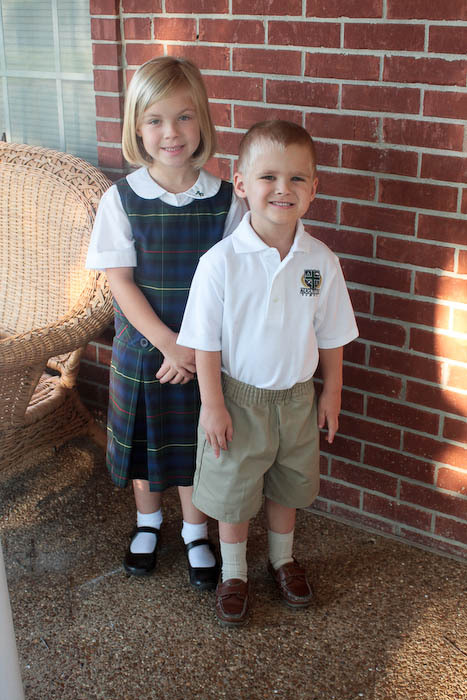 Well, the kids have been in school for a week... but can you believe I sent Micah to school on the wrong days?! Ugh! Who does that?! He was supposed to go Monday, Tuesday and Wednesday but I sent him Monday, Wednesday and Friday. They allowed him to stay today but next week we'll make sure to get him to school on the right days! My kids have the option to stay at school till 2:30 once their classroom time is over at 12:30 or they can come home at 12:30. On Mondays we'll go get them since Greg has the day off and then can spend more time with them...but on the other days we'll probably let them stay. Naomi is also taking ballet at the school on Wednesdays at 1:45 so it doesn't make a lot of sense to pick her up for lunch just to have to take her back. 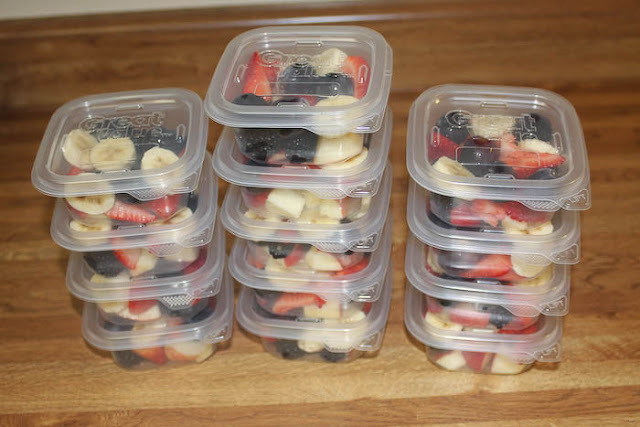 So, I will be packing two lunches two days a week and one lunch two more days of the week. This week has been pretty boring for the kids in the lunch department...pb&j, applesauce, animal crackers, etc. 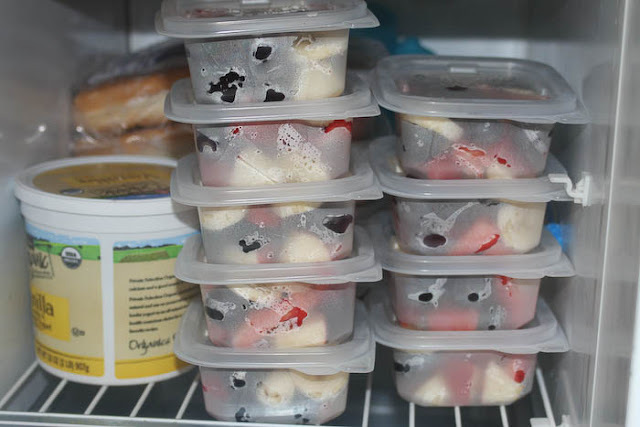 Today I had bought lunchables for them and decided to pack some fresh fruit for them. 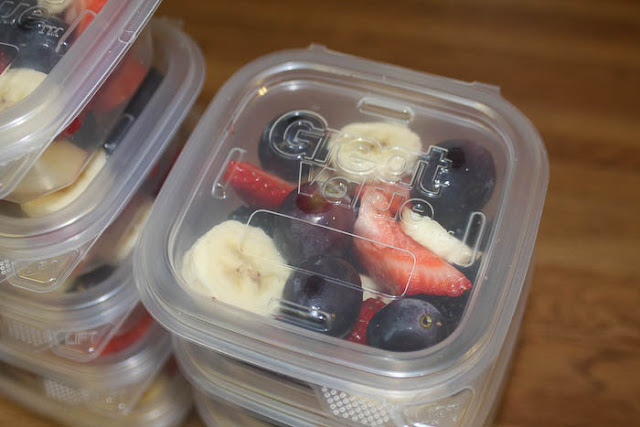 Packing fresh fruit for the kids is not always easy, having to deal with keeping the fruit cold, making sure it doesn't spoil, etc. I found a great idea and for the life of me cannot remember where it came from. I think I saw it on pinterest but it's not on my creative lunches board where it should be. So, I am sorry that I don't have the original post to link to but as soon as I find it I will let you know. All I did was buy some containers at Walmart...and these are "Great Value" containers that had an attached lid, so I thought that was pretty awesome, then I got some fresh fruit, washed it all, cut it up and portioned it out into the containers. Then I put the containers in the freezer and will just throw one in the kids lunch bags in the morning before they go to school and by the time they eat lunch they will have cold, fresh fruit! 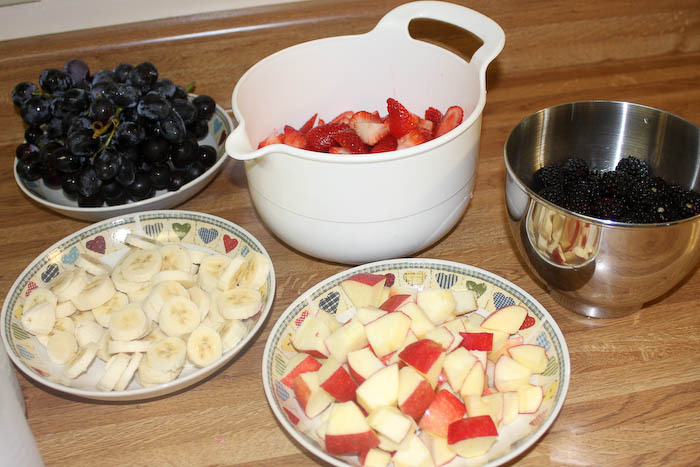 I put 4-5 pieces of each fruit in the container! That's all the fit and really that's all they need! The kids told me that the fruit was still just a little bit frozen but pretty much just cold!! 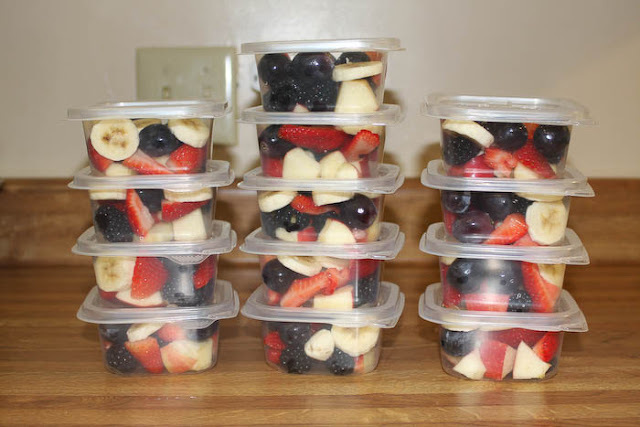 What a great way to get fresh fruit into the kids lunches!!! 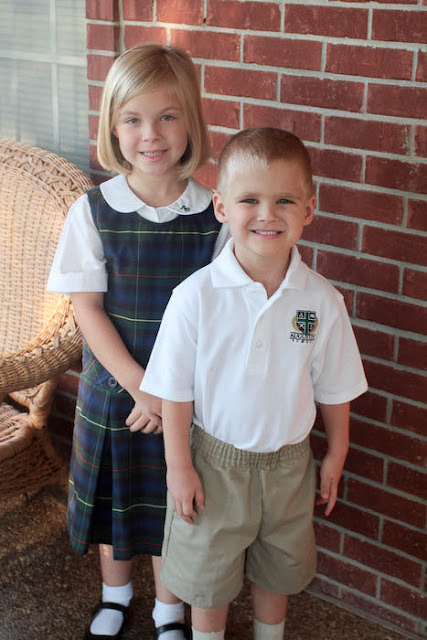 Here are my two little cuties all ready for Kindergarten and Pre-Kindergarten! They love it so far and have GREAT teachers!!! Here's to hoping I can actually get my act together to make some creative lunches in the future...like the ones I have pinned! Those look so so SO yummy! What a great and time saving idea! I hope your little ones are enjoying school as much as they must be enjoying their lunches.